A couple of years ago, the sudden demise of LA-based quartet Mars Hollow deprived the US progressive rock scene of one of its most promising bands. However, volcanic bassist Kerry “Kompost” Chicoine was not one to keep away from the limelight for too long, and – together with drummer Jerry Beller – he soon teamed up with former Ten Jinn guitarist Mike Matier, gifted keyboardist Matt Brown (also a member of Genesis tribute band Gabble Ratchet) and vocalist Scott Jones to form a new band that was given the high-sounding name of Heliopolis. Indeed, “City of the Sun” (the English translation of the Ancient Greek name, which also refers to one of the capitals of ancient Egypt) is a very appropriate name for an outfit hailing from sun-drenched southern California. 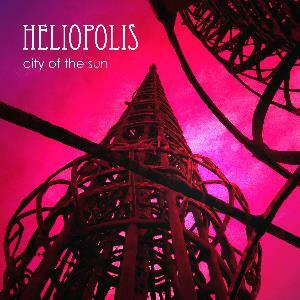 The cover of City of the Sun, released in the late summer of 2014 on 10T Records, is graced by the photo of an elaborate structure that looks like a modern version of the obelisks for which their eponymous city was known. The music inside embodies the band’s own description of “progressive rock, LA style”: based on strong melodies and catchy hooks as much as on instrumental skill, though with less of an AOR bent than Mars Hollow, it also reflects the band members’ optimistic outlook. Clocking in at around 42 minutes, City of the Sun is carefully balanced, with the two longest tracks bookending the album, and the only instrumental track – also the disc’s shortest number – strategically placed in the middle. 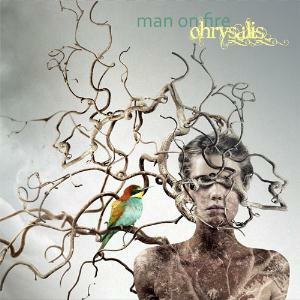 Writing credits are equally shared by all the band members, which contributes to the overall solidity of the album. While the individual performances are very strong, the emphasis is clearly placed on ensemble playing, and the result is remarkably cohesive, though with enough variety to keep the listener’s attention. Indeed, for such a compact running time, a lot seems to be going on in each of the five tracks. The music on City of the Sun fits the description of modern symphonic prog, clearly influenced by Yes, but successfully avoiding the overt plagiarism that mars the production of other similar outfits. The ultra-heavy intro to “New Frontier”, with its nod to Black Sabbath (or also Yes’ “Machine Messiah”), slowly morphs into a more melodic scenario, introducing Scott Jones’ Jon-Anderson-meets-Geddy-Lee vocals, as well as Kerry Chicoine’s pneumatic Rickenbacker, aided and abetted by a Jerry Beller in top form. Seamless vocal harmonies and an infectious chorus soften the complexity of the musical fabric, while Mike Matier’s guitar adds bite and a touch of dissonance to the concoction. Matt Brown’s array of keyboards steps up to the plate in “Take a Moment”, which introduces some spacey, atmospheric elements as well as jazzy hints in a rather more somber context than the opening track. The interlude provided by the unexpectedly angular, almost Crimsonian instrumental “Mr Wishbone” (complete with a guest appearance from a dog, Ricky Chihuahua) contrasts sharply with the melodic “Elegy”, an oddly upbeat song considering its subject matter (it is dedicated to the memory of drummer and composer Shaun Guerin, who passed away in 2003), and definitely the most mainstream number on the album. Things are brought to a close by the mini-epic “Love and Inspiration”, an ambitious piece that lacks the edge and complexity of “New Frontier”, spotlighting instead the band’s flair for grandiosity and the elegance of their vocal harmonies. Matier and Chicoine are in fine fettle on this track, again adding some jazzy overtones to the proceedings. With some festival appearances (NorCalProg and the second edition of the NJ Proghouse Homecoming Weekend) under their belt, and a prestigious slot as openers of the ROSfest 2015 weekend before Spock’s Beard, Heliopolis are one of those bands who are most at ease when playing live, which makes their music truly come alive. Though they will never try to sell themselves as the most innovative of bands, their engaging manner and obvious enjoyment of their craft has already won them a lot of fans; additionally, City of the Sun puts a lot of potentially interesting ideas on display. Even if, in the past few years, my personal tastes have veered away from conventional prog towards more challenging fare, I have found a lot to enjoy in Heliopolis’ debut, and can warmly recommend it to those who are looking for a contemporary take on the traditional symphonic approach. Formed in 2006 in the New York/New Jersey area by guitarist/keyboardist John Fontana and vocalist David Bobick, Shadow Circus might have ended up as one of the many progressive rock projects limited to the four walls of a recording studio. Instead, right from day one, Fontana and Bobick’s vision involved a full-fledged band that would perform on stage as often as possible, emphasizing the theatrical component introduced in prog by Peter Gabriel-era Genesis (as well as some lesser-known outfits). Though not without hiccups (i.e. frequent lineup changes), the band have managed to hold to their initial aim, perfecting their stage craft whenever given the opportunity to play live. Although often tagged as “retro-prog”, Shadow Circus are quite unlike the many outfits that sound like a tired retread of Seventies – albeit with a modern veneer. While their debut album, Welcome to the Freakroom, took an eclectic yet accessible approach, Whispers and Screams upped the ante in terms of “prog quotient”, half of it dedicated to the seven-part suite “Project Blue”, which, in its 34 minutes, summed up the band’s musical vision. 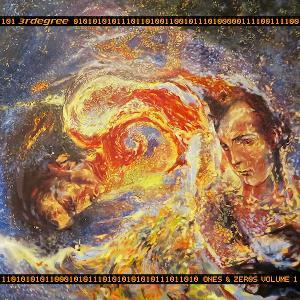 On a Dark and Stormy Night (released on Georgia-based label 10T Records) takes up where “Project Blue” left off, expanding and developing the format in a compact 58 minutes, each track flowing organically into the other without any noticeable breaks, in classic “rock opera” style. Indeed, this is the first time that the band have taken the “concept album” route, basing their third recording effort on Madeleine L’Engle’s young adult fantasy novel A Wrinkle in Time – a fitting tribute on the book’s 50th anniversary. Literary inspiration is a fil rouge that runs through Shadow Circus’ six-year history– starting with the band’s own name, which references Ray Bradbury’s Something Wicked This Way Comes; additionally, “Project Blue” and “Journey of Everyman” (the 12-minute epic included on their debut album) are based on Stephen King’s The Stand and The Talisman. Though concept albums as a whole, in spite of their enduring popularity with prog fans, can easily result in an overblown mess, Shadow Circus have navigated the potential pitfalls with admirable skill. The finished product is solid and cohesive, striking a fine balance between engaging melodies, fiery instrumental cavalcades and atmospheric, meditative moments. While a good proportion of the album is instrumental, the contrast with the generally catchier vocal parts is handled with a light touch, without creating the dreaded “patchwork” effect that mars many overly ambitious efforts. 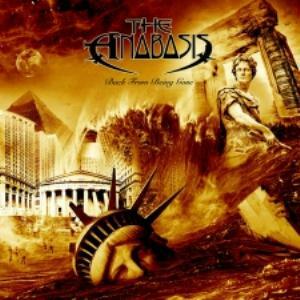 Though Shadow Circus’ previous releases have often elicited comparisons to the obligatory Yes, Genesis and ELP (as well as more radio-friendly bands such as Kansas or Styx), On a Dark and Stormy Night develops the strong hard rock vein openly displayed on Whispers and Screams by tracks such as “Captain Trips” and “The Seduction of Harold Lauder”. In fact, the album’s core lies in remarkable synergy between John Fontana’s guitar – capable of sharpness, yet consistently melodic – and David Silver’s commanding keyboards, reminiscent of the epic duels between Ritchie Blackmore and Jon Lord immortalized by Deep Purple’s In Rock and Machine Head. On a Dark and Stormy Night is bookended by two longish tracks with a deeply cinematic sweep, both of them referencing some of the main themes of the album. Introduced by ominous sounds of rain and thunder, “Overture” builds up slowly with orchestral grandeur and soaring guitar until it erupts in a wild guitar-organ ride in Deep Purple/Uriah Heep style. The following trio of songs showcase David Bobick’s confident delivery, rooted in AOR and classic rock rather than traditional prog. “Daddy’s Gone” juxtaposes a catchy, almost radio-friendly vein with a wistful note, enhanced by elegant piano and an emotional guitar solo at the end; while the jaunty pace and infectious chorus of “Whatsit, Whosit and Which” lead the way to a powerful Hammond solo. The longest track at over 8 minutes, “Make Way for the Big Show”- based on a theme composed by drummer Jason Brower – is a stately, melodic piece that combines an almost classical feel with suggestions of vintage Kansas and Supertramp, dominated by Silver’s splendidly flowing piano and Bobick’s soaring vocals. The 5-minute rollercoaster ride of “Tesseract” is strategically placed in the middle of the album, signaling a shift into decidedly more adventurous territory. Eerie electronic effects complement echoing, chiming guitar lines that recall Porcupine Tree’s iconic style, then the Deep Purple vibe resurfaces for a fiery guitar-organ duel, adding a hint of Iron Maiden along the way. 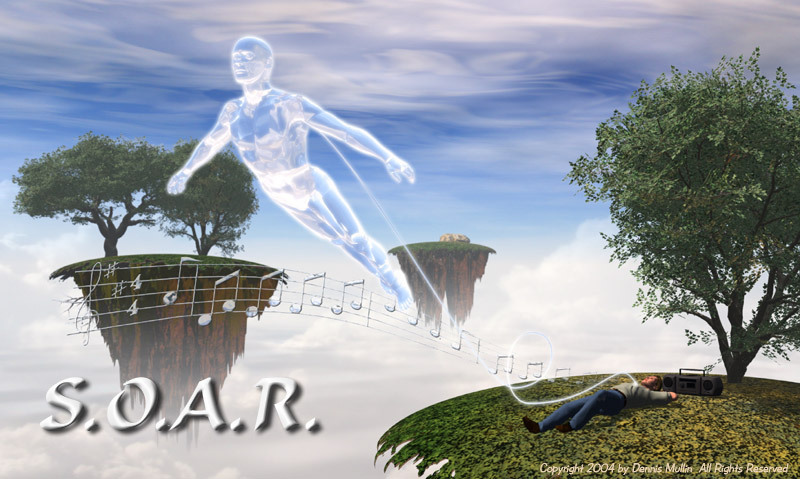 “Uriel” provides a momentary respite with the lyrical cello and piano at the beginning, then swiftly turns into an upbeat, dance-like tune enlivened by a great vocal performance by Bobick; while the martial, menacing pace of the über-eclectic “Camazotz” morphs first into a soulful, bluesy chorus, then into a space-rock workout that pushes Matt Masek’s powerful, dynamic bass into the spotlight together with the guitar and keyboards. The lovely “Ixchel” – a soothing moment with a haunting Celtic tinge – wordlessly conveys the healing atmosphere of the titular planet through gentle acoustic guitar, sparse piano and Roo Brower’s ethereal vocalizing. 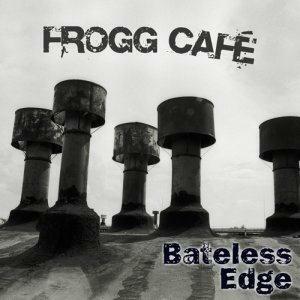 In sharp contrast, closing track “The Battle for Charles Wallace” surges along like a triumphant sci-fi soundtrack, spotlighting the intense keyboard-guitar interplay, while Brower’s imperious drums set the pace; then vocals return, reprising the “Big Show” theme, and an expressive guitar solo wraps up the album. By an interesting coincidence, On a Dark and Stormy Night’s official release is scheduled just a few days before another adaptation of a well-known young adult novel – J.R.R. Tolkien’s The Hobbit. 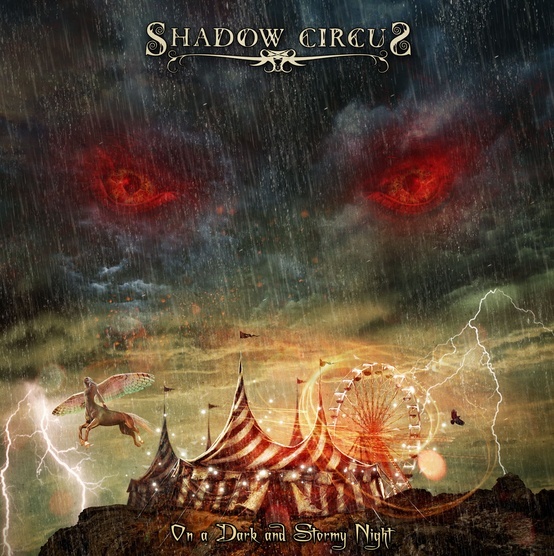 Though Shadow Circus’ third album will probably not meet with same worldwide success as Peter Jackson’s film, it will probably feature in quite a few “best of 2012” retrospectives. Impressively well-structured and cohesive from both a musical and lyrical point of view, the album shows a band that have finally attained full maturity. Although On a Dark and Stormy Night is quite unlikely to please everyone in the increasingly fragmented prog community – and those of an elitist bent would be well advised to handle with care – those who approve of paying homage to the golden age of prog without sounding like a carbon copy of those modes will find a lot to appreciate. This is also a good “gateway” album for fans of classic and hard rock, and obviously recommended to those who like musical adaptations of literary material.